Metadata is embedded into image files to keep the metadata sticking to the picture data for the image's lifetime, this is outlined as a major goal of the Embedded Metadata Manifesto. The goal of this Social Media Photo Metadata test was to find out if embedded metadata is stripped-off while an image goes through a Social Media system - undermining the goal of the Embedded Metadata Manifesto this way. Starting point was an image file with embedded metadata, e.g. this IPTC metadata reference picture. It includes Exif metadata in an Exif header and IPTC metadata in an IIM header and an XMP header. This image file was uploaded to the Social Media system as outlined by the system. On the user interface an option was selected to display the uploaded photo. Are any of the embedded metadata fields of the image file shown by the web user interface? If yes, it was checked if the field values are displayed correctly. And it was checked if the label of a shown field reflects the same semantics as the corresponding IPTC or Exif metadata field. Find the results of this test in the "Displays correctly" column of the results grid and find our ranking criteria in the table below. If metadata fields were displayed did this include the most relevant metadata fields for describing the image and claiming the copyright on this image: Caption, Creator, Copyright Notice or Creditline, the 4C columns. Find the results in the "Displays 4Cs" column of the results grid and find our ranking criteria in the table below. A web browser command was executed to save the image file - in the largest available size at that moment! - to a local computer (using something like "Save Image As ..."). - did IPTC metadata exist in the XMP header. Find the results in the "Save As embedded?" column of the results grid and find our ranking criteria in the table below. - did IPTC metadata exist in the XMP header? Find the results in the "Download embedded?" column of the results grid and find our ranking criteria in the table below. The columns of the ranking table below refer to the four tests described above. The rows of the table below refer to the three colours the test result icons can show. Exif: any Exif photo metadata field in the format of the Exif headers for saving metadata in an image file. This icon stands for: it was not possible to test this feature. It is used for e.g. the result from "Displays correctly" if no metadata are displayed at all. 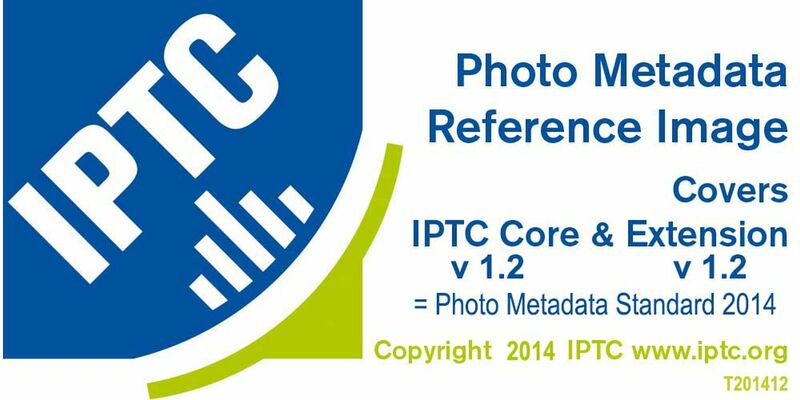 The results for IPTC and Exif metadata fields are noted separately. The results for IPTC metadata fields in IIM and XMP headers and Exif metadata fields in the Exif header are noted separately. Members of the Photo Metadata Working Group of the IPTC with contributors from AFPE and in 2013 from the photo metadata survey of controlledvocabulary.com. What are the results of the tests? The results of test are available in this grid.